All things new in the yurt! We started the day by welcoming Anne, a new member to the group. It was a small group today, with people on holiday, but we still managed to get so much done! 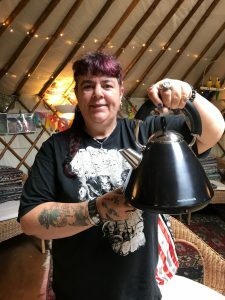 Sharon was a very happy bunny opening up our new shiny black kettle and a new vacuum cleaner that actually works with which Anne started doing a well-needed clean up. Then one group worked taming the monstrous sedge outside the door of the yurt and brushing the water of the skirt of the yurt – a never-ending, “painting the Forth bridge” job! The others prepared our lunch – a satisfying leek and potato soup, super salad, infamous egg mayonnaise, foraged blackberry crumble courtesy of Anne and – the piece de resistance – a birthday cake for our flamboyant, sartorial dresser, Greencare David! 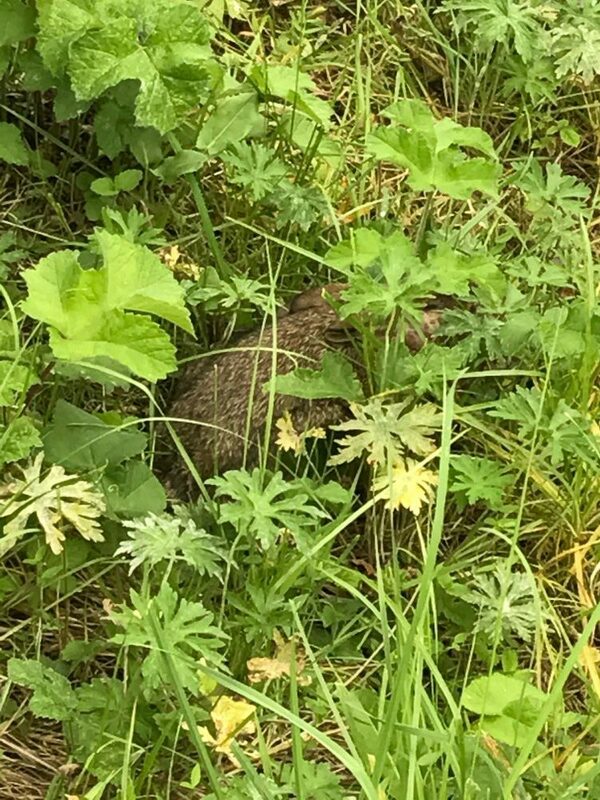 In the meantime we saw other happy bunnies arid the site, munching the grass in the orchard: very tame bunnies indeed, well camouflaged in the long leaves. 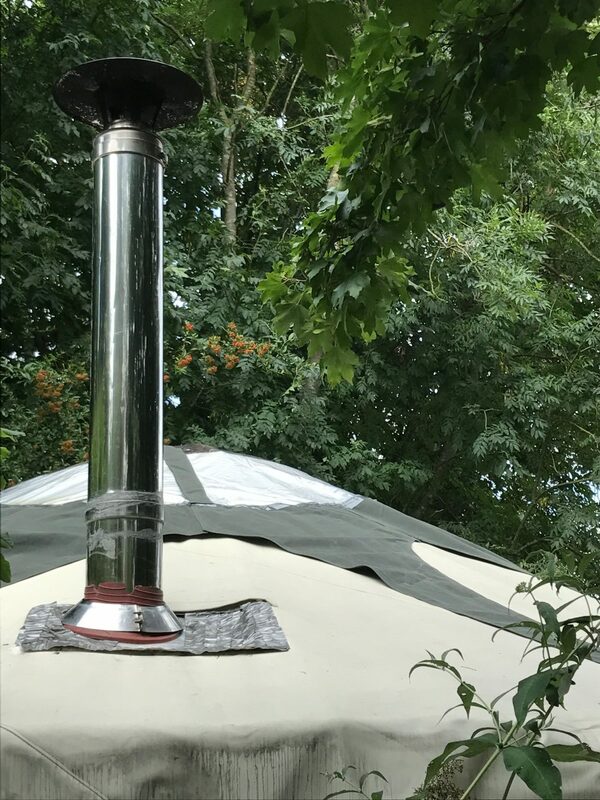 We had a delivery of a new temporary crown for the yurt to use following the damage inflicted on our old one by Professor Rex… Removing the old one was easy – putting up the new one a little harder but we still got it done, just in time for the rain! It looks very smart with the dark green contrast to our other canvas. Now to send off our old one to be remade – decision will be needed as to what colour we choose! 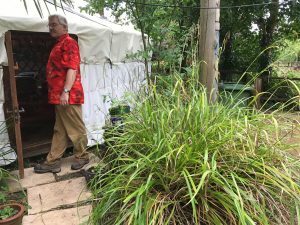 Then we worked together finishing off the area around the yurt with a neat bed of bark.